Human beings are natural storytellers, and it's never been easier to access digital technologies that allow anyone, anywhere to share their story with the world. More stories are being produced and consumed now than at any other time in our species' history - yet, for some reason, it's never been more difficult to cut it as a creative. Consumers are paying less (if anything) for all forms of entertainment, traditional media companies are tanking, and the advertising realm has been turned on its head. Although operating budgets have increased in every sector, storytellers are making less than ever before, as the lion's share of new revenues cyclically feed mechanisms for distribution and monetization. Our media landscape is, in short, unsustainable and in the midst of a crisis. What went wrong? How can we fix it? Although he presides over Avid, the leading provider of audio and video technology for creatives and media professionals, Louis Hernandez Jr. isn't your typical multinational CEO. In his two previous books, Too Small to Fail: How the Financial Industry Crisis Changed the World's Perceptions and Saving the American Dream: Main Street's Last Stand, he chartered his vision of an egalitarian America structured around the communities that compose its very foundation. He brings the same mindset - the same notion of countless small actors with unlimited potential - to the tumultuous world of media with his third book, The Storyteller's Dilemma: Overcoming the Challenges in the Digital Media Age. 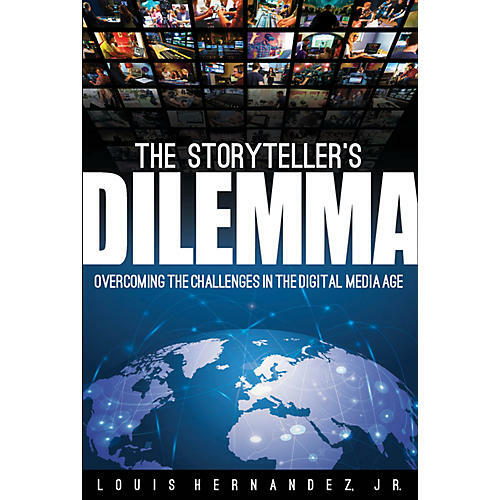 In The Storyteller's Dilemma, Hernandez puts forth another comprehensive vision for our future that aims to advantage all while disadvantaging none. This book is neither a diatribe against economic elites nor a postmortem analysis of the ills of digital distribution. Instead, it proposes a new approach with the potential to benefit all involved parties - an approach that at once embraces the intensifying power of storytelling and eschews the notion that disruption and instability must greet an industry hand-in-hand. Rather than favoring any given group over another, Hernandez imagines a streamlined world of shared platforms and common standards that empower storytellers, developers, and deliverers alike. By dispensing of business models that have proved unviable in the digital age, we can turn higher profits while more equitably compensating creatives and creative endeavors. In today's networked world, the economics of storytelling matters to everybody. It's time we all got onboard.